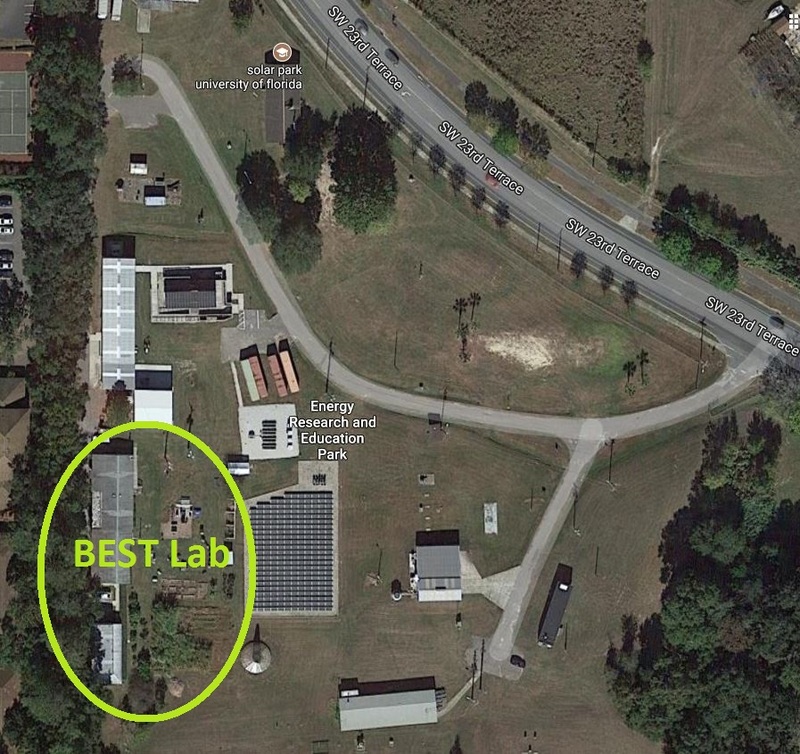 We are located in the UF Energy Research and Education Park on SW 23rd Terr. See map below. We have parking spots and a bike rack available. The Energy Park will be on the right side of the road immediately after University Commons Apartments. Once you turn into the park, take the right fork and continue around to the back of the park. The BEST Lab will be at the end of the road. See map below.